In a Nutshell: For consumers carrying more than $7,500 in unsecured debt, Guardian Debt Relief offers an attractive alternative to consolidation and bankruptcy. The company helps clients establish payment plans compatible with their financial situations and negotiates with creditors to reduce the amount they owe. The process typically takes 24-48 months, and clients can see savings up to 40% — which includes Guardian’s flat 20% settlement fee. Dedicated service representatives and negotiators, as well as relationships with creditors, help ensure that Guardian handles cases both ethically and professionally. According to CNBC, Americans owe a combined $125 billion on 20 million personal loans. That study also found that 61% of loans are requested to pay off other pre-existing debt. But the strategy of consolidating debt into smaller and lower-interest payments still leaves consumers owing money. That’s why so many people find themselves in a vicious cycle of carrying debt as a result of trying to eliminate debt. But rather than turning to further borrowing or bankruptcy, Guardian Debt Relief advocates debt negotiation and settlement as an effective alternative. Guardian helps consumers establish payment plans, negotiates with creditors, and helps clients chart a course to becoming debt free. Guardian Debt Relief aims to quickly put clients back on the path to financial stability. Guardian’s process begins with a phone call during which a representative analyzes a client’s debt and helps the client establish a plan to settle their debt by making monthly payments into an FDIC insured bank account. Unlike a personal loan, debt settlement leaves the consumer completely debt free at the program’s conclusion. And consumers can eliminate debt faster and save more money than if they made regular payments to their creditors. “Debt settlement allows consumers to get out of debt significantly faster — typically in 24-48 months,” Mongiello said. In order to qualify for the Guardian program, consumers must have $7,500 or more in total unsecured debt. That includes credit card bills, personal loans, payday loans, medical bills, utility bills, and private student loans. Debt secured by collateral isn’t eligible. For consumers who are unsure of whether their debt qualifies, Guardian offers a free phone consultation with a debt specialist who can help determine if a settlement is a viable option. Debt settlement is an ideal solution for individuals experiencing financial hardship. Those situations often begin with the inability to make a minimum credit card payment, paying one or more bills late within three months, difficulty reducing credit card balances, or carrying maxed-out credit cards. When the borrower’s monthly budget is unable to accommodate repayments after purchasing necessities like food, housing, and utilities, creditors recognize that the debt is unlikely to be paid in full and are more likely to agree to settle. Establishing a plan can show creditors that the consumer is committed to paying back what he or she can. That initiative, coupled with the fact that placing an account in collections will likely be more costly than settlement, further motivates creditors to agree to negotiation. The first step of Guardian’s five-step debt settlement program is a free consultation with a certified debt specialist. The specialist reviews a caller’s financial situation and conducts a soft credit pull — which won’t affect his or her credit score — to determine if debt settlement is the best option. If so, the specialist begins to set up a specialized payment plan customized to the client’s financial situation. Payments are deposited directly into a trust account held at Global Client solutions, an FDIC-insured bank. When sufficient funds are available, Guardian uses them to settle the client’s debt. Guardian Debt Relief can help clients pay far less than what they owe through debt settlement. Guardian will contact the client’s creditors and send a cease and desist letter along with a power of attorney. It notifies the creditors that the borrower has enrolled in Guardian’s program and is actively trying to eliminate their debt and improve their financial standing. Guardian negotiators use that leverage to reach a settlement. The settlement may be a lump sum or structured payment plan that the creditor agrees to accept in lieu of the full amount owed. Each time Guardian negotiators reach a settlement with a creditor, the client is notified. When sufficient funds are available in the trust account, the agreed upon amount is transferred to the creditor. Settling an account typically results in a 20%-40% savings for clients over paying a debt in full. And those savings include Guardian’s settlement fee, which the client only pays upon settlement of the enrolled debt. Guardian stands apart from other debt settlement companies in many key respects. It offers speedy negotiation, personalized service for each client, a flat settlement fee, and holds multiple industry accreditations. The goal is to ensure client debt is handled professionally and ethically. As soon as clients enroll and make their first payment, Guardian immediately contacts their creditors. Other companies may wait for several payments — and several months. Guardian begins the process promptly, stopping collections calls and easing financial stress. Clients are also assigned a dedicated debt specialist, customer service representative, and negotiator. Instead of speaking with a different person each time they call, Guardian clients will always speak to the same representative. 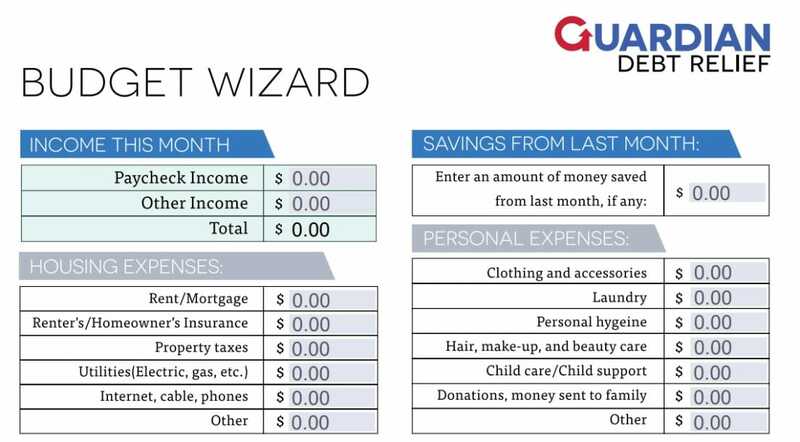 For this service, Guardian charges a flat 20% settlement fee regardless of the enrolled debt. Mongiello said other companies charge settlement fees as high as 25% for higher debts. Consumers can feel secure knowing that this settlement fee will not be paid unless Guardian Debt Relief settles their enrolled debt for a reduced amount, guaranteed. Guardian is a member of the American Fair Credit Council, which helped develop standards for the debt settlement industry and seeks to ensure all consumers have fair access to debt settlement. In addition, Guardian’s teams are led by debt relief specialists certified with the International Association of Professional Debt Arbitrators, which ensures agents maintain compliance with industry standards and ethics. Despite the national prevalence of debt, many consumers remain reluctant to talk about it — with friends, family, partners, or even certified debt specialists. Guardian is dedicated to helping clients take the difficult first step toward a better financial future. “Financial hardships are a very sensitive subject, and we know how difficult it can be to reach out for help. From the first call with us, we do everything we can to make the process as clear and stress-free as possible,” Mongiello said. Guardian currently serves 19 states, with its largest markets in New York, Florida, Texas, and California. But debt remains a national problem, and Guardian, one of the fastest growing debt settlement companies in the industry, plans to continue extending its reach. “We’re very excited to assist more people as we expand our debt relief services across the United States,” Mongiello said. 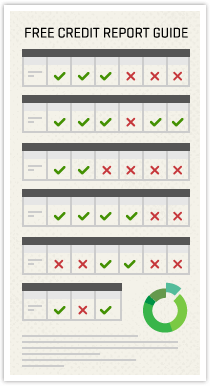 Guardian’s budget calculator provides users with an idea of what they can pay toward debt each month. Consumers who don’t yet have access to Guardian’s debt settlement services can find free financial resources on the company’s website. These include an informative blog that addresses topics related to understanding, managing, and eliminating debt. It features posts on credit, consolidation, spending, budgeting, and financial services. Guardian also offers a free budget calculator. On the same page, users can find links to educational articles that will help them make the best use of the tool. Guardian offers consumers a speedy and economical way to pay off seemingly insurmountable debt. Through its personalized service, consumers can reclaim their financial independence without the difficulties of bankruptcy or adding more debt.